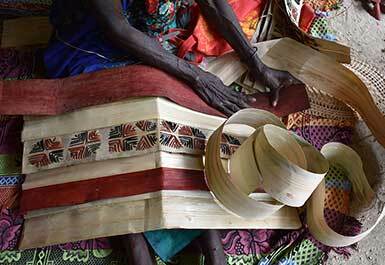 The Australian Centre of Asia Pacific Art (ACAPA) is the research arm of QAGOMA's Asian and Pacific activities. Established in September 2002, ACAPA is part of the Gallery's Asian and Pacific Art Department. Since initiating the Asia Pacific Triennial of Contemporary Art (APT) series of exhibitions in 1993, the Gallery has become a leader in collecting and presenting contemporary art from the region. The Centre extends and builds on this commitment. To establish partnerships and alliances with similar organisations in Australia and internationally to attract sponsorship for the Gallery's Asian and Pacific activities. ACAPA offers research opportunities to scholars, curators and artists interested in topics relating to the art of the Asia Pacific region, including Australia. Individuals engaged in the Visiting Curator program can access information relating to works in the Queensland Art Gallery Collection and draw on the resources of the Gallery's Research Library. Since 2002 ACAPA has supported a series of artists' visits and residencies linked specifically to the Gallery's Asian and Pacific projects. Artists have included Heman Chong, Lee Ming Wei, Tsuyoshi Ozawa and more. For information on past ACAPA projects, contact the QAGOMA Research Library. 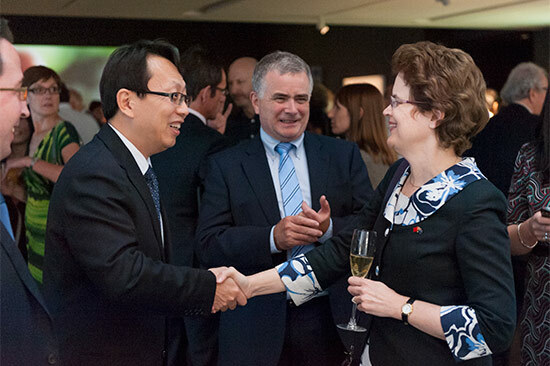 In addition to ACAPA's ongoing partnerships with Griffith University's, Griffith Asia Institute and The Asian Arts Society of Australia (TAASA), we have also partnered with institutions including the Shanghai Art Museum and the Smithsonian Institution's Freer Gallery of Art and Arthur M Sackler Gallery. 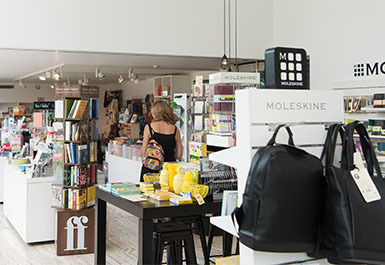 These partnerships expand our connections to the art of the Asia Pacific region by enabling staff exchange programs, long-term loans projects and more. For information on past partner activities contact the QAGOMA Research Library. 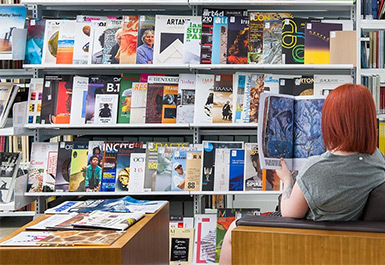 ACAPA supports an extensive collection of Asian and Pacific art resources in the QAGOMA Research Library, which the public are welcome to access. The collection includes exhibition catalogues, books, journals, invitations, newspaper articles, AV and ephemera. There is also a broad collection of archive material relating to ACAPA, particularly those events associated with the Asia Pacific Triennial of Contemporary Art (APT) series of exhibitions such as catalogues, educational resources, videos of artists' talks and performances, images, media releases, reviews and reports. Perspectives Asia is a free public seminar series developed and co-presented by Griffith University's Griffith Asia Institute and ACAPA. Initiated in 2005, Perspectives Asia explores issues of contemporary culture, politics and society in our region and fosters public discussion of Australia's relations with the region. This series of public lectures focuses on contemporary and historical Asian art and is co-presented by The Asian Arts Society of Australia (TAASA) and ACAPA. ACAPA periodically hosts conferences or symposia as part of public programs accompanying selected Gallery exhibitions. These events bring together scholars from around the world to discuss issues relevant to the exhibition. For a complete list of past ACAPA events contact the QAGOMA Research Library. Heman Chong gathering material for The Archive Project 2012, QAGOMA Research Library, February 2012. HE Frances Adamson, Australian Ambassador to the People’s Republic of China meets Perspectives Asia audience, 8 November 2012. 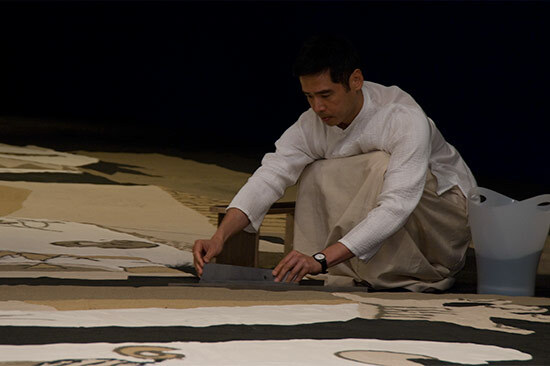 Lee Mingwei installing Gernika in sand at the Gallery of Modern Art, 2008 / Mixed media interactive installation and performance / Collection: Yeh Rong Jai Culture & Art Foundation, Taiwan . Professor Ian O’Connor (Vice Chancellor, Griffith University); Russell Storer (Curatorial Manager, Asian and Pacific Art), Ms Leneen Forde (Chancellor, Griffith University); Hon. 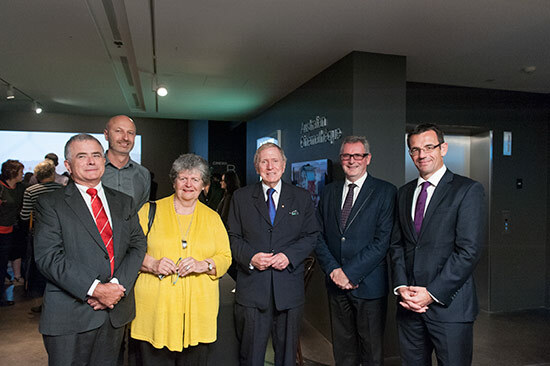 Michael Kirby AC CMG, Chris Saines CNZM (Director, QAGOMA), Professor Andrew O’Neil (ed. Director, Griffith Asia Institute).